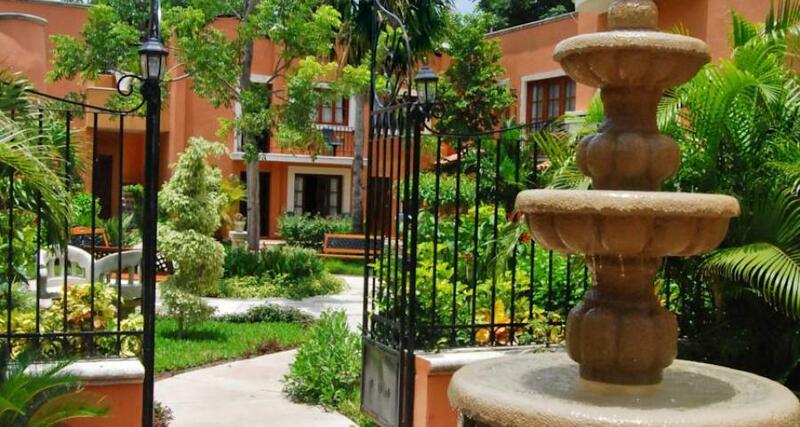 Hacienda San Miguel is a 3* hotel located in Cozumel-Downtown, Mexico. It features 11 rooms. Hacienda San Miguel is a small hotel that features charming colonial Mexican decor and 11 cozy guestrooms equipped with great amenities. The hotel is located in the heart of the beautiful island of Cozumel just a few yards away from the boardwalk, making it easy for you to enjoy stunning scenery and a haven of tranquility. The property is filled with lush tropical gardens and lovely green areas. Within the spacious accommodations at Hacienda San Miguel, you can enjoy complete privacy and convenient amenities, including a full kitchen equipped with a stove and refrigerator. You can also relax on your balcony or terrace while you admire relaxing views of the colorful gardens or the city. The ferry that takes you to Playa del Carmen is just four blocks away from the hotel.